A Drexel University mathematics professor, Dr. R. Andrew Hicks (the R is probably a constant for a radius or something) has developed a new patented design of automotive side rear-view mirror with a much larger field of view, without the distortion of present wide-angle mirrors. "Imagine that the mirror's surface is made of many smaller mirrors turned to different angles, like a disco ball," Hicks said. "The algorithm is a set of calculations to manipulate the direction of each face of the metaphorical disco ball so that each ray of light bouncing off the mirror shows the driver a wide, but not-too-distorted, picture of the scene behind him." While conceptually it's like a disco ball, the resulting mirror sadly doesn't look like one, even very close up. It would seem that the varied reflection and refraction angles of the constituent surfaces are smoothed into, as they say, a "nonuniform curve". 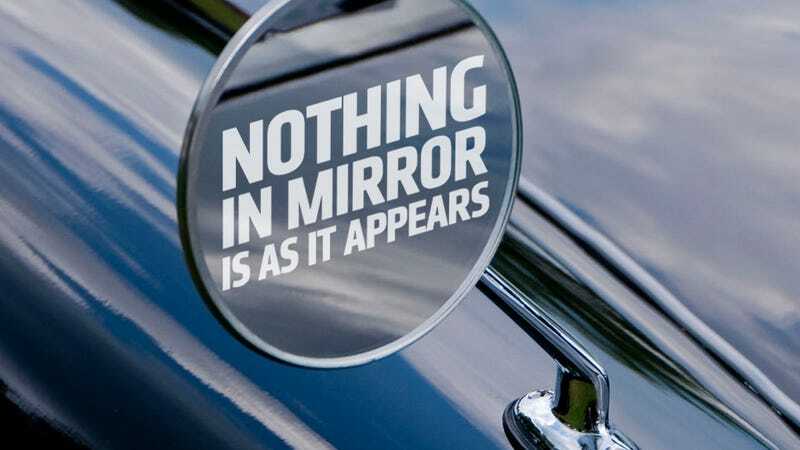 Based on the image, the mirror certainly seems to provide a wide, quite undistorted image, though the objects in the mirror are certainly smaller than they appear, to paraphrase a familiar mirror-enthusiast quote. As a result of this, and the fact that DOT regulation §571.111 Standard No. 111 does not allow for drivers' side convex mirrors, we may not get to see these in use in the US anytime really soon. Aftermarket or auxiliary mirrors should be possible, however. These developments in optics are interesting, though the real future of mirrors is likely to involve cameras and screens. Hypothetically, it should be possible for a camera/computer-based rear-view-imaging system to provide a wide angle and some sort of scale compensation for the images. It's still a way off before such a solution is cost effective, and there's still likely to be issues with such distortions and compensations of the visual world. So, in the meantime, quickly turn your head and check those blind spots.